Open Up is a free weekly gathering, where we sit, listen and talk openly with each other. It's an opportunity to come and talk to people your own age about the stuff that’s going on in your life. 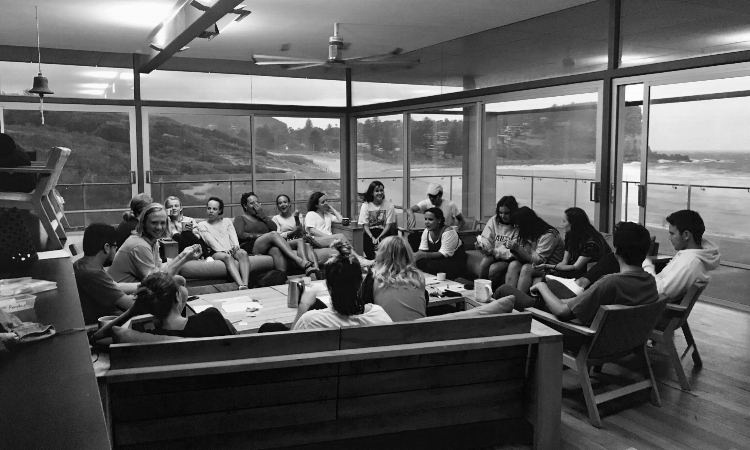 We talk about all kinds of stuff at Open Up, including: expectations, family, social media, identity, alienation, work pressures, school, anxiety, masculinity, body-image, depression, friends, control, lessons learned, challenges we’re dealing with, relationships, life lessons... the list goes on. We often deal with this stuff in isolation, but why? It's called stigma, and we're here to break it - by talking honestly, openly and often. And while we know it’s easier said than done, talking to someone can lift such a weight off your shoulders. We're normalising stuff that was once hard to talk about, by talking about it! Joining is easy and free: Just rock up. No bookings. No signing up. No payments. You don’t even have to commit to coming regularly, just turn up when you feel like it. One Eighty's primary function is to promote the prevention of youth suicide. While we're fulfilling this role in a number of ways - one of our proudest contributions to this vision is our Open Up program. We're not just talking about breaking the stigma around mental health - we ARE breaking the stigma. Every. Single. Week. In each session, young people are given the opportunity to connect with other young people who may be living through similar experiences. Alternatively, they may be given the opportunity to connect with people who have completely different life experiences. Either experience is valid, and creates a learning opportunity for all involved. Research has shown that ‘peer support’ systems of preventative care for mental illness are beneficial in the recovery and prevention of a range of mental health disorders. Open Up sessions foster this philosophy, offering a peer-to-peer network of support that instills in participants a sense of belonging, inclusion, and safety. Information on local specialised support services is also available at all Open Up sessions. While the sessions themselves are structured to be casual and non-intimidating for first-timers, participants are given constructive and actionable information as to where to seek additional support or help after the sessions. It is important to remember that Open Up is a community support group, and not a professional mental health care service. If you need extra support, or have further questions about your own mental health, please do not hesitate to reach out to a trained professional at anytime (24/7) at Lifeline on 13 11 14. In cases of emergency, always call 000.